We must always consider insurance as the foundation of our Financial Plan. Insurance protects a household from unforeseen risks. Risk includes liability, damage of property/asset, death, disability, health and long-term illness etc. Some risks may be self-insurable and the rest are required to share with insurer by paying premium. protection (not emotional protection) to disastrous families due to death, illness, accident or loss of property. Risk is the possible outcome of loss or no loss. We can define it either as “Pure Risk” or “Speculative Risk”. In Pure Risk, the outcome may be loss or no loss. Pure Risk refers to losses due to death, accident, fire etc. Pure Risk is insurable. On the other hand Speculative Risk is not insurable. Investment in shares means that there is a chance of gain or loss. You knowingly take risk and the outcome is either you’ll gain or lose. Since insurance is complex. Risk Analysis is a process which defines and analyzes the nature, quantum & frequency of risk. It may be caused by nature, individuals, business and governmental agencies. Once the policy is in force, regular review & analysis is must. You may have to increase, decrease or terminate insurance coverage. An insurance review is a process that can go long way to protect you and your assets from unforeseen contingencies. Once the risk is identified a Financial Planner tries to evaluate risk i.e. severity of loss & probability of loss. Severity helps you to anticipate the value of the loss due to loss of one arm, death, damage of property, etc. In case of life, a Financial Planner considers the liability, responsibility, replacement value of income, inflation, tax etc. Secondly, in case of property, a Financial Planner considers the market value or replacement value of the asset. Priority of concern to a planner: High Frequency & High Severity & he also considers Low Frequency & Low Severity, which may be low significant. Again some risks are insurable and some aren’t. Then question of Risk Management arises. This is a strategy to handle risks and reducing the severity of losses for accident or unanticipated losses. It means to eliminate the possibility of risk either by hazard prevention or not doing any activities which may spawn risk. E.g. you may not drive or avail a car to avoid traffic accident or not investing into equities to prevent loss. As loss is the effect of a cause. An insured can reduce or control loss by identifying the factors that causes the loss and eliminate the factors. E.g. drive carefully in a thickly populated area. While drive the car not to consume alcohol. Non-insurable or insurance is not available. It’s better to retain risk for cost effectiveness. Risk retention the only way where risks with high frequency but low severity. Transferring of risk is sharing your risk with insurer (insurance co.). You may pay premium and transfer your risk to insurer. In illustration 1 & 2 I’ve mentioned how insurance started. By paying premium an insured can transfer the huge possible losses to insurer. Insurance company assumes the risk on the basis of LAW OF LARGE NUMBERS by which the company estimates the amount of loss somehow accurately. The law of large number relates to probability, i.e. statistical concept. The morbidity or mortality rates depend on probability of loss. What’s your perception about insurance? Still concept of insurance is nascent idea and most people neglect to assess risk and risk planning due to ignorance. Both Contingency Planning and Insurance Planning are foundation of Financial Planning. Insurance is a contract. While your insurance proposal is accepted it converts into policy i.e. a contract between you (insured) and insurance company (insurer). Insurance is financial protection or reimbursement against financial losses from insurer. If you overlook insurance, there may be substantial financial losses in case of any peril. It may be in personal life or any business or profession. Only insurance can indemnify financial losses against perils except life insurance as in case of life no one can define the value as property & liability. If you do not have proper insurance, your savings will get drained out or you may have to take costly loans. You may have to sell physical/ financial assets at once in distress. Insurance is essentially a cooperative effort. A large number of persons agree to share the loss which a few of them actually incur. The basic objective is to share the loss among a large number of people. Thus it reduces the financial burden by sharing the loss. If there are 5,000 residential properties in a community (each of them valued @ Rs. 75, 00,000). It has been experienced that each year one house in a thousand is damaged by accidental fire & earthquake. The average financial loss is Rs. 75, 00,000 in each case. There is a possibility of 5 residential houses in the same community to be damaged by accidental fire & earthquake. But no one knows who’ll face the financial loss. In the community there’ll be a total loss of Rs. 3, 75, 00,000 in a year. The pooling of amount will be Rs. 7,500 p.a. (Rs.3, 75, 00,000/5000). Community gets peace of mind as the sense of insecurity faced by every member is removed by joint contribution. There are 20,000 people in a village each aged 45 and having similar expected longevity 70. From the experience, it has been observed that 5 people die out of thousand among this group. Therefore, 100 people will die in a year. But who’ll die? No one knows. If the average loss is Rs. 10, 00,000, there’ll be a total loss of Rs. 1000, 00,000 every year. The community decided not to live in uncertainty. They decided to share the risk among 20 thousand. The average yearly contribution is Rs. 5,000 (Rs. 1000,00,000/20,000). There’re two uncertain factors “who” & “when”. No one wants to live in uncertainty & to make them certain they start to pay Rs. 5,000 as premium. They realized that if they don’t pay the premium they’ve to bear the cost, i.e., Rs. one crore. Pure Insurance premiums are relatively small than the losses. Those who’re insurable and have insurable interest can share the loss with insurance companies (insurer). This is the basis of Term Insurance policies. Why Risk Analysis & Insurance Planning is so important? One has to balance between cost & effect. Risks may be dealt in many ways, i.e. by avoiding, reducing, sharing or retaining. There may be huge financial disaster if you neglect the same. He's one of the four directors of Step Ahead Investment Advisors Pvt. 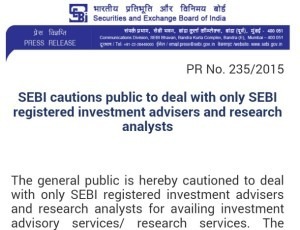 Ltd. (SEBI Registered Investment Adviser) . A faculty of CFP^CM & CWM at ICICI Direct Center for Financial Learning. He has been in financial services industry since February, 1986.